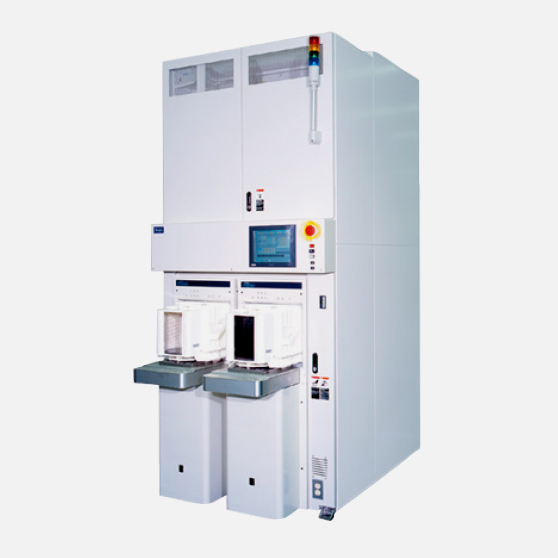 This heat treatment system performs silicon wafer, IGBT, polyimide and thin wafer oxidation, diffusion and CVD. Since its height is less than 3000 mm, this model can be easily introduced. It features a short cycle time and high throughput. This short cycle time, high throughput, vertical diffusion furnace processes 300-mm (12-inch) wafers in a mini batch of 25–50 wafers each. Since the stocker space is eliminated, its height is less than 3000 mm, making it easy to introduce. There are many cases where furnaces are introduced without stockers, so you can cut the stocker-related costs. Thanks to the LGO heater, the furnace exhibits superior temperature characteristics over a wide range from low to medium high temperatures. It is suitable for the heat treatment of IGBT, polyimide, thin wafers and other materials in addition to silicon wafers.